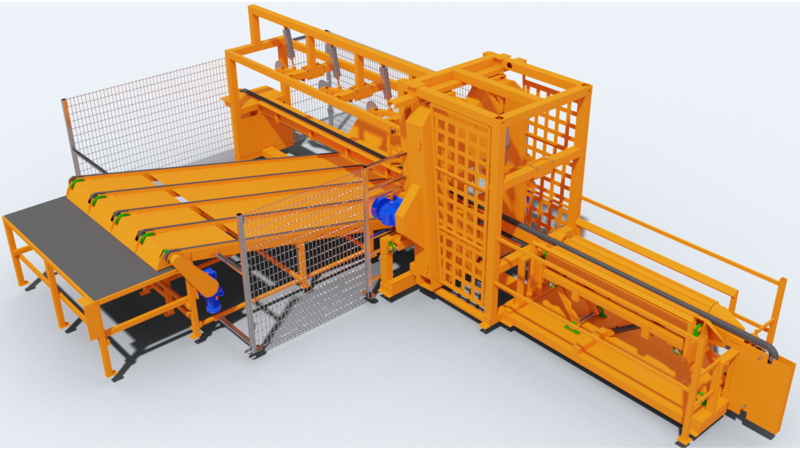 Sawmill CZP-2/ZM with Off-cuts Collecting Feeder may process logs with diameter up to 420 mm. As a result we obtain one two-sided flitch (max. thickness 400 mm) and two off-cuts that gravitationally fall down onto collecting feeder. Innovative application of tilted cutting heads optimizes process of cut and at the same time decrease motors load during cutting each successive log. In option it is possible to upgrade this device to automated industrial version that may function as compliment of automatic round wood processing lines.